Siena Phelps knew she was working for a famous artist, but it was not until she began organizing his collection of books and papers that she saw just how famous. 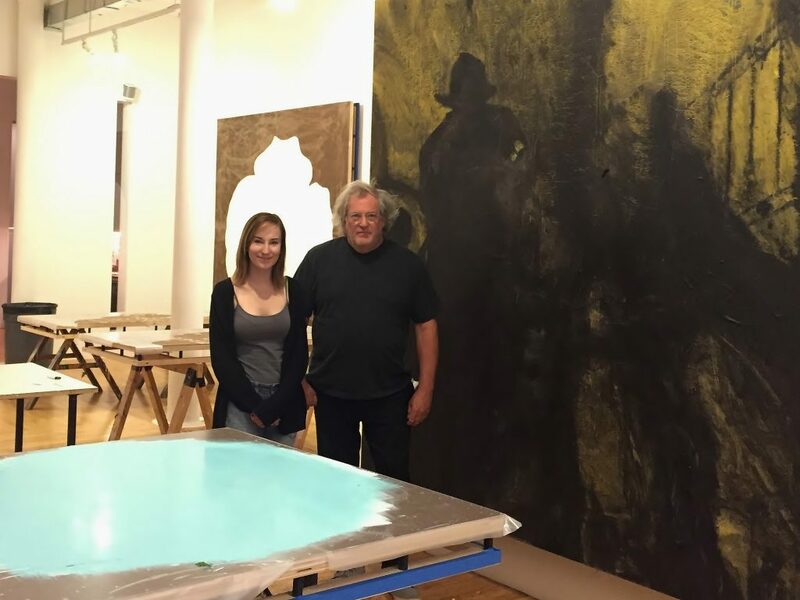 Phelps veered from the tight-knit Saint Rose art community to the world of one of the leading contemporary American artists recently when she secured a three-month internship with Donald Sultan. The multimedia artist, whose work appears in major museums around the world, is well-known for his large floral still life and paintings that incorporate industrial materials. Sultan also illustrates books, and his designs have been used in homes and hotels. “Siena was absolutely brilliant, she organized our library more thoroughly than I could have ever imagined. No one has been able to do what she’s done, and I’ve had many, many people try; great attention to detail and an overall excellent, excellent job,” Sultan said in an email. A Long Island native, Phelps has a unique connection to Saint Rose. Her parents, Judy ’79 and Art ’80, were Saint Rose students who met at a restaurant near campus where they were celebrating their respective birthdays – March 21, a year apart. Like Siena, her father was an art major; her mother studied history and political science. They raised their children in a home filled with art and music. Siena’s older brothers are musicians. She responded to art early on. At Saint Rose, she has learned the fundamentals from professors she respects and alongside students she has grown close to. She began with a concentration in painting and added a photo concentration after taking several photography classes. 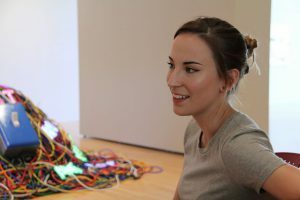 Phelps also credits the College with giving her exposure to many well-known artists, through on-campus artist talks and visits to galleries in New York. And, Phelps said, her education had also given her the confidence to talk to artists. “Even if someone is well-known, I think ‘I’m an artist too,’” she noted. To get to Sultan’s Tribeca studio, Phelps commuted three hours a day by train from Long Island. The artist and his staff were low-key and welcoming. To organize his materials, she borrowed strategies from her campus library job. This meant checking for the source of each image she catalogued and alphabetizing and organizing materials so finding them later would be easy. Though she did not handle Sultan’s art, she got a foothold on his working life, glimpsing, for example, how his style evolved from small shows to major exhibitions and how various of his works evolved. Phelps is considering pursing a master’s degree in art therapy. 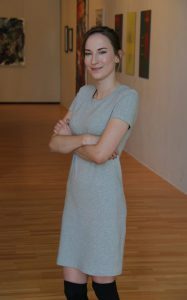 Fluent in American Sign Language, she might instead pursue a career that incorporates art with education for the deaf. Working for Sultan showed her that the artist can have broad influence.